A vibrant and pretty sky blue coloured semi-circular bag is here to accompany any school girl. Its simple patterns of attractive colour scheme make it Read More..absolutely beautiful. 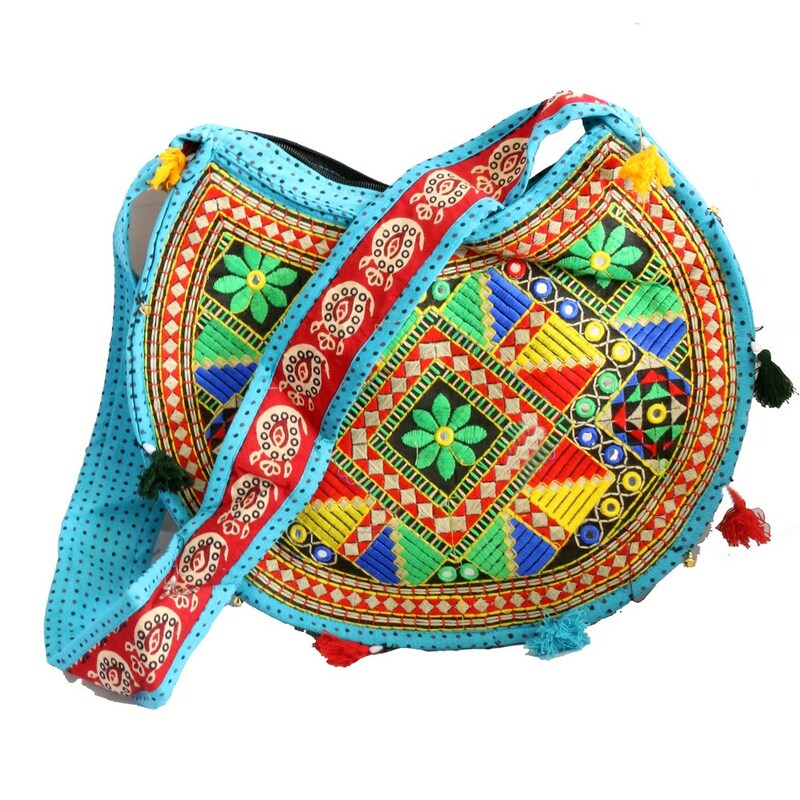 The long handle filled with designs makes this bag all the more trend setting. The shape and the Jaipuri designs work towards a great style element. Show Less..